A 50ml white glossy PET plastic bottle complete with a choice of black or white screw on cap with fitted EPE liner to provide long lasting freshness. A great travel sized bottle for toiletries, cosmetics, hair care and grooming products. A great travel size white glossy PET plastic bottle with a 20mm neck which is compatible with a wide range of our 20mm screw on closures. A great, contemporary looking bottle for a toiletries, beauty products and hair care. Available in sizes from 50ml to 1 litre. Attractive, stylish mini 50ml white glossy plastic bottle with a gloss finish complete with a choice of either black or white 20mm EPE lined screw on cap. The lining ensures a great closure to provide long lasting freshness and prevent risk of leaking in transit. If you’re after a high end, professional look for your cosmetics range, look no further. 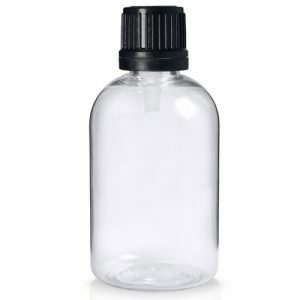 This small white plastic bottle is ideal for travel shampoos and conditioners, lotions, shower gels and hair serums. 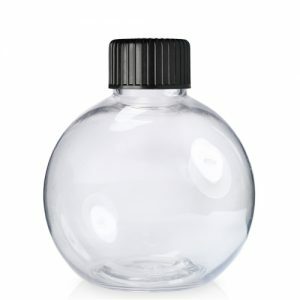 Bottle comes with a 20mm plastic screw cap with quality EPE liner. 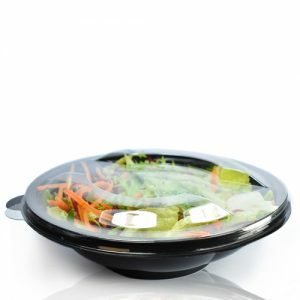 This liner stops product cross contamination, whilst helping to prevent leakage. Choose from black or white colour options.